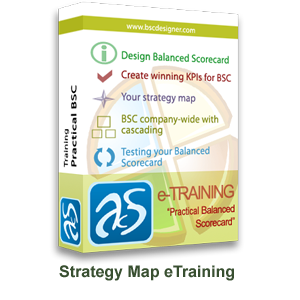 Review: This strategy map is a bit different from the layered strategy maps we have seen most of the time however if follows traditional base 4 balance scorecard and the objectives have been divided into four conventional components of a strategy map. 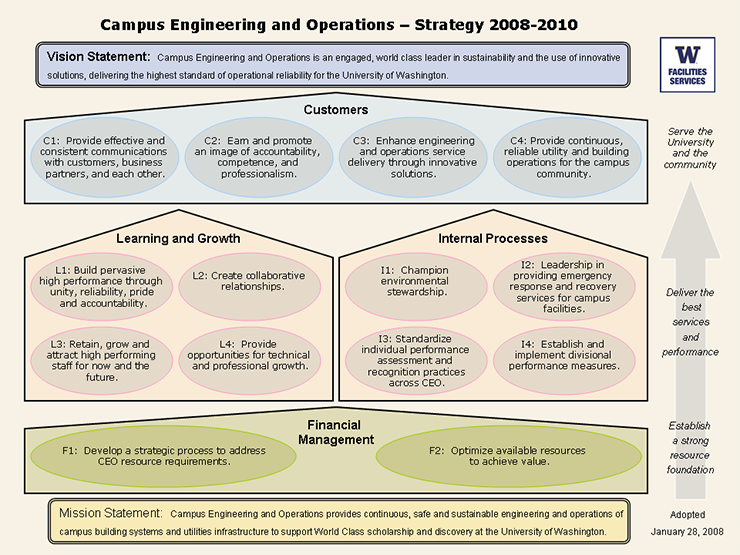 This map is well defined and well-organized with clear objectives and the mission is to improve engineering services being provided to Washington University. Opportunities: As described this map is designed to achieve goals related to educational institute, therefore this map can be used as sample for educational organization who want to improve their services and operational activities. The map is suitable for medium scale educational institution. 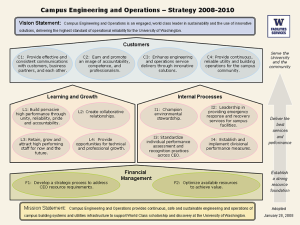 University directors or other authorities need to design this type of strategies to meet their objectives. Result: A very good, well-structured map overall with efficiently organized objectives. Also the map is very easy for one to comprehend and implement. 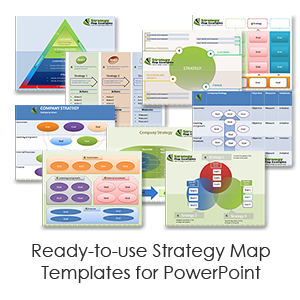 There is however certain deviation from the standard layered pattern of strategy map which might create slight difficulties for one to understand. 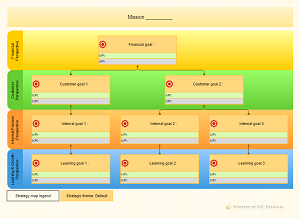 Suitable strategy map overall.